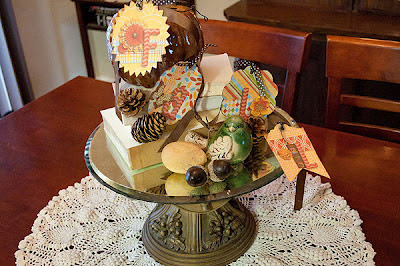 This weekend I completed a fall tag hybrid project using Fuss Free: Tagged along with some digital supplies from Free Falling by Bella Gypsy. I'm just starting to explore hybrid projects, so I didn't take pictures of the process as I went along (ah, next time), but it was so easy! 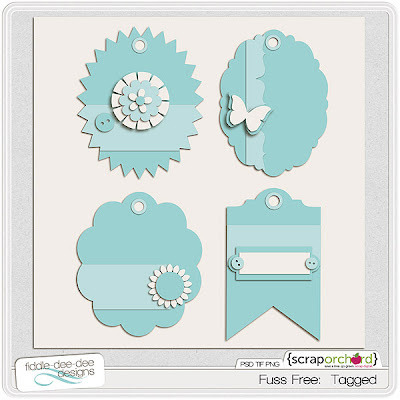 I started with my Fuss Free: Tagged templates (you can use these in your digital layout projects as well, but they were perfect for this project). 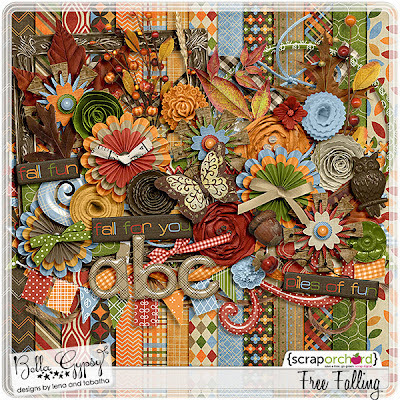 I chose Bella Gypsy's Free Falling digital kit for my papers and elements. 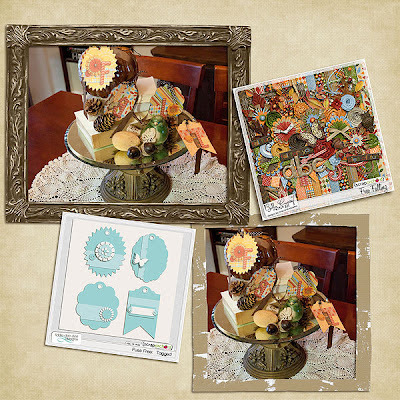 I put pulled both products into Photoshop and started testing out combinations of papers and elements until I had something that really appealed to me. After I completed everything in Photoshop, I moved the tags over to another canvas for printing and then I printed on cardstock. Once the project was printed, I cut out the tags, did a little inking on the edges, punched holes and tied a sheer dotted ribbon through each hole. Then I stapled the tags to brown ribbon that I wound through a fall tablescape. I am excited to use these tags for a Christmas project. 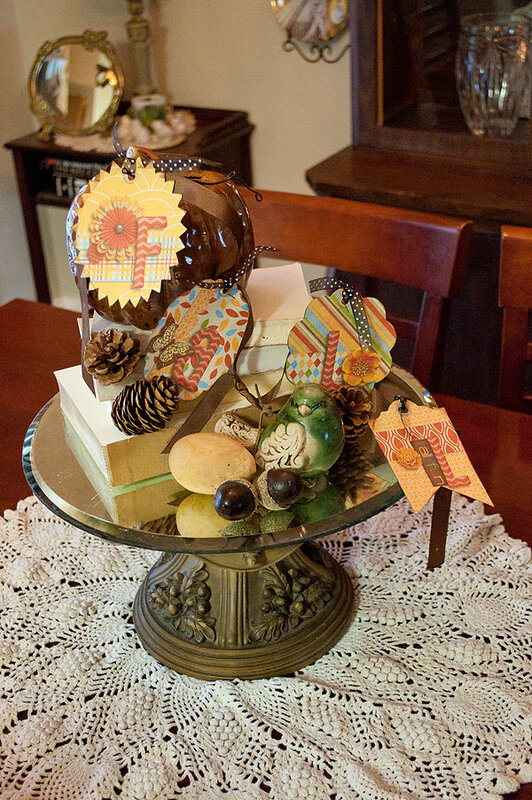 I think I'm going to decorate the tags using a Christmas kit (spelling out "Christmas"), then print them out and adhere them to either a canvas or insert them into a shadow box. I'm going to print a second copy of the tags so I can cut out some of the elements and adhere them to the tags with pop dots for more dimension. 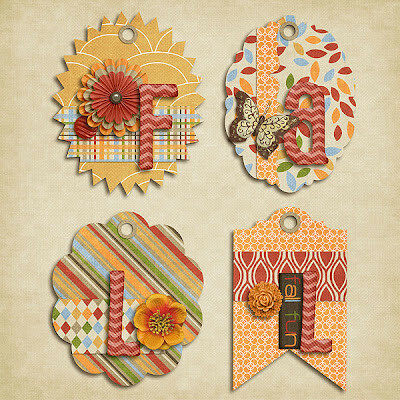 And I'm also thinking of using them to make a cute sign in my laundry room! I hope my little adventure inspires you to try out your own digital supplies for a quick and easy decorating project ~ hybrid style!